Today I found Lance Lee's original pinky schooner Perseverance moored at the Rockland public landing and I went by to visit briefly with the development director of the Apprenticeshop in downtown Rockland. The pinky may not mean much to some, but this is the 40th anniversary of the Apprenticeshop where folks of all ages learn hand skills to make boats, and learn so much more about themselves in the process. Perseverance was Lance Lee's first Apprenticeshop boat, and the wooden boat community as a whole understands better than most the necessity of hands-on learning for all. Once you begin to understand the role of the hands in learning, begin observing first hand, what your own hands can do in the development of your intellect, your character and consciousness, the rationale for the arts, music, woodworking, boat making, gardening, the culinary arts, direct outdoor observation and laboratory science becomes crystal clear and readily apparent. The point of course, is not that these things and academic studies should remain unrelated and detached, but that children and adults (all) may through their hands begin to learn the interconnectedness of all things. That which is learned hands-on, is learned most thoroughly and to greatest lasting effect. The use of the hands in making useful and beautiful things forges the character in meaningful relationships to family and community in ways much too long neglected in American education. 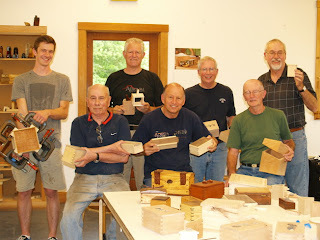 This afternoon I finished my box making class at the Center for Furniture Craftsmanship, and it was a great class. My students were enthusiastic, took risks in their design work, and managed to come up with some fine boxes. They particularly enjoyed making things of their own design and reflecting their own inclinations rather than being required to simply copy my work. This evening I attended the annual open house at CFC, attended by hundreds of supporters. It is a great thing to witness such community support, and during the last two weeks, I could not have asked for a better class or a better teaching experience. Tomorrow I go to Camden for an overnight stay and then will proceed to Boston on Sunday via bus. My students were so busy today that they hardly needed me. Our two week class will finish tomorrow and all have made great progress in addition to having fun. One exciting moment came when Dennis had accidentally sanded away the marks that indicated the top of the box, leaving it nearly impossible to know which side to cut the lid from the base. Fortunately, some careful refection on how the grain was oriented when the box was assembled and some just plain luck resulted in a box that was cut just right. It was a great relief for both of us and a near mistake that will not happen again. Each student has made boxes of their own design, and each has pushed his own limits and gained ground, not all of it easy. I have been having fun making a few boxes with scraps left over from my demonstrations. 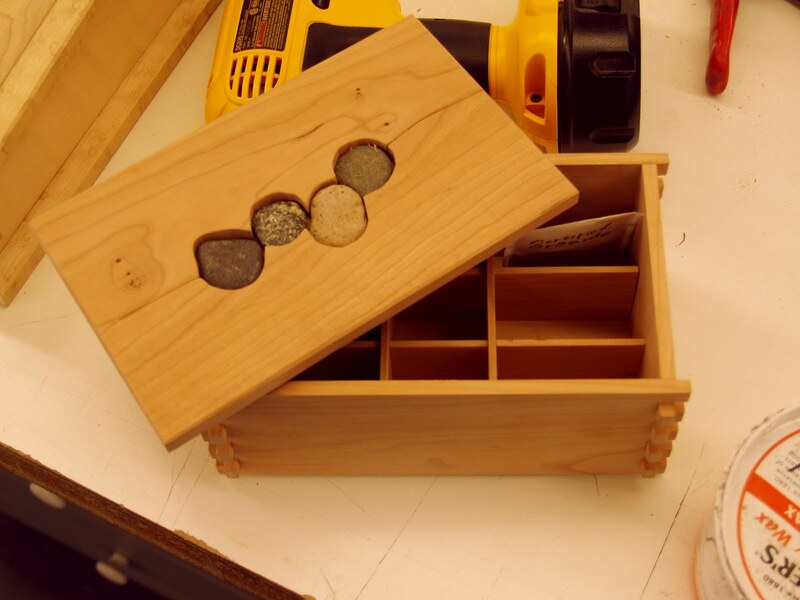 I've been making very small useless boxes with lids inlaid with granite stones gathered on my walks at Machiasport and Rockland harbor... very fitting souvenirs from the granite state. Oscar Wilde had said that the ugliest objects were made in the effort to make something beautiful and the most beautiful things were made in the effort to make something useful. I guess in that, my new Maine commemorative boxes are ugly, except for having made "use" of woods that would have gone to waste were it not form my intervention. Tomorrow we apply a Waterlox oil finish that I've heard recommended many times and have wanted to try. 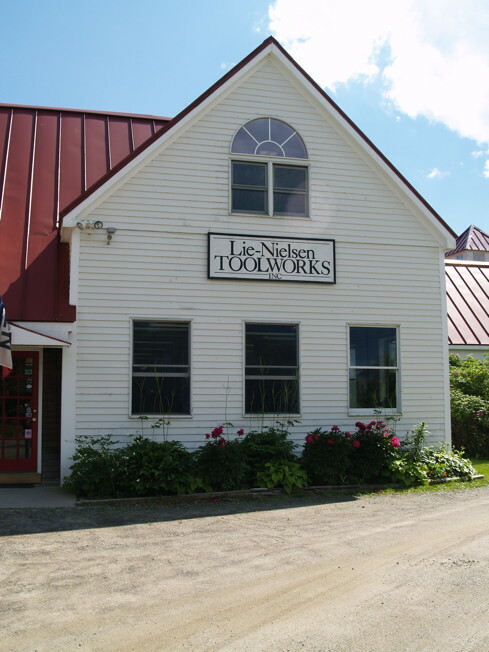 I slipped away today for a visit with Thomas Lie-Nielsen, maker of fine woodworking tools. His workshop is amazing with skilled teams of craftsmen who obviously take great pride in their work. I wanted to show Tom my own design for a dovetail marking gauge, which is different and in my opinion more useful than any other on the market, as it simplifies the measuring required and also functions as a square, thus eliminating one tool necessary for hand-cut dovetails. This essentially means no longer having to switch from one tool to the other. Tom is interested in it and we will discuss it more tomorrow during the Center for Furniture Craftsmanship annual open house. I got a great tour of the Lie-Nielsen Toolworks as you can see in the photo below. Everyone working at the tool works seemed to enjoy the opportunity to show what they were working on... a sign of obvious pride that everyone in the US should feel for their work, but too often do not. 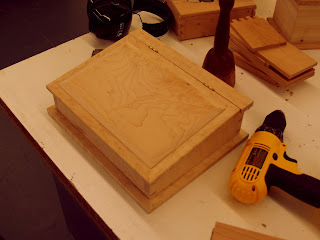 Make, fix and please spend some time exercising your own creative capacities... box making anyone? This afternoon as I was teaching at the Center for Furniture Craftsmanship, a woman and her father came through and were admiring my display of boxes. Since it was obvious that the gentleman had more than a casual interest, I asked him whether he did woodworking. Usually I can tell. He answered, "Not since Sloyd, but I don't suppose you would know what that was." He told me that his own lessons in Educational Sloyd had been in Cambridge, Massachusetts, about 80 years ago. He proceeded to tell me that his first project in Sloyd was to make a box, and that he was allowed to do nothing else in the wood shop until that project was finished to his teacher's satisfaction. "Have you heard of Sloyd?" he asked. He didn't think that these days anyone would have heard of it before. I mentioned the articles I'd written on the subject, and my travels to Sweden and Finland and the current efforts for renewal of Sloyd in Boston Schools. I explained to his daughter the theory and purposes of sloyd, that it recognized the relationship between the hands and the development of intellect, that it led the child on a creative journey from the easy to difficult, from known to unknown, from the simple to the complex and from the concrete to the abstract, but started with the interests of the child. I mentioned that Sloyd was known to have benefits that were both economic, in that it imparted skills that made students more capable of earning a living, and formative in that it built both character and intellect in each child. The gentleman concurred. From his sixth-grade student perspective, he remembered that Sloyd was about making a box, and then being allowed and having the power to make whatever he wanted. In that, he learned about learning itself. He was surprised to learn more about Sloyd from the teacher's perspective, and to see how much thought was behind it. He said that the lessons he learned in Sloyd, making that box, had stuck with him like nothing else and the lessons learned about attention and perseverance enhanced the quality of his life for all these years. 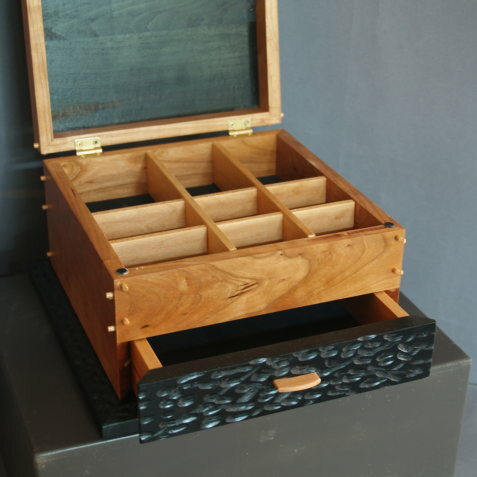 His interest in my boxes that I had mistaken as the interest of a modern day woodworker was in truth that of someone who had been called back after all this time to remember his own 12-year-old Sloyd self. I am planning stage two of my New England adventure in which I go to Boston to discuss the value of woodworking in schools, and it was a pleasant and affirming omen this afternoon to meet someone who had been at the other end of things... a student of Sloyd from back in its heyday who had found benefits from it throughout his whole life. 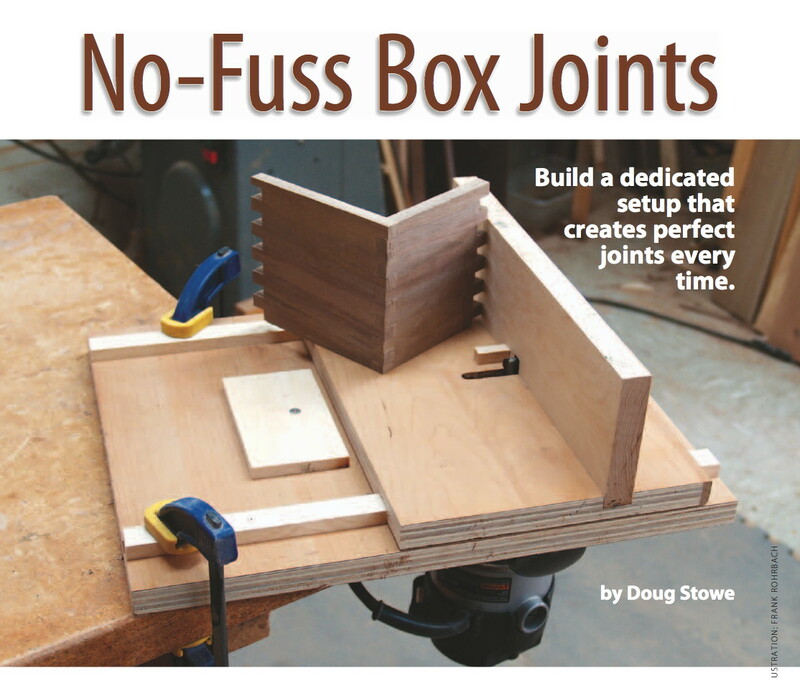 Also, my article about making a dedicated finger-joint router table arrived in mail boxes yesterday across the US and one of my students brought in his copy today. The lead photo is shown above. You can find copies of American Woodworker in your favorite bookstore. My students are realizing that we have only three more days, and they have already expressed regrets that this amazing two week class is coming to a close. I have made a variety of boxes myself, which is unusual. I normally manage to make but one demo box, and usually not of the best quality. I've been taking time to experiment, allowing myself the luxury of making a few mistakes by trying a few new things. And I'll have a box to give to the school and more that I will ship home. 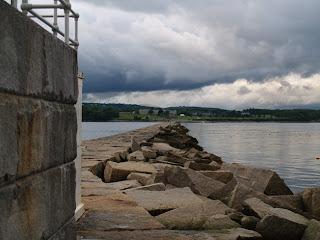 Last night I walked the long breakwater out to the Rockland lighthouse. 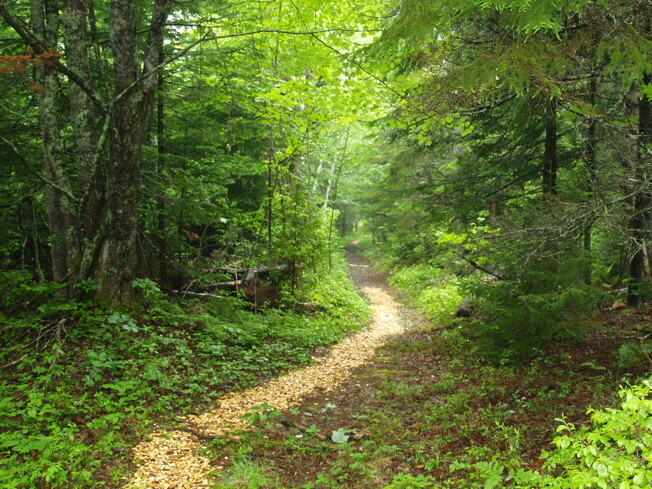 It is 7/8 mile long, so I was able to get in a 2 mile hike. The breakwater is made from massive, irregular chunks of granite, quarried and placed long before as much modern equipment was available and will be there long beyond the time in which facebook has faded from memory and the very last iPod is crushed in a landfill. I wonder if those unknown makers had a sense that what they were doing would last generations? I've not spent enough time visiting the other classes, but that seems to be the pattern at every school I teach. This afternoon I plan a quick field trip down the street to visit Thomas Lie-Nielsen and show him my dovetail marking tool in the hopes that he will take an interest in making them from brass. It would be lovely to have the satisfaction of knowing that something I've made could have the capacity to make things easier and more interesting for others. I and my students have been busy at CFC. 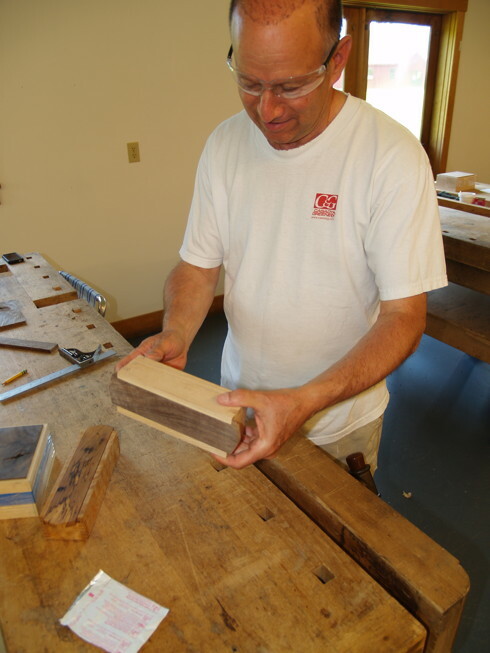 In the classroom next door, master craftsman Pete Schlebecker has begun veneering with a fresh set of students, the 12 week students are finishing small benches with hand cut dovetails, and the studio fellows are crafting re-formulations of what furniture can be. 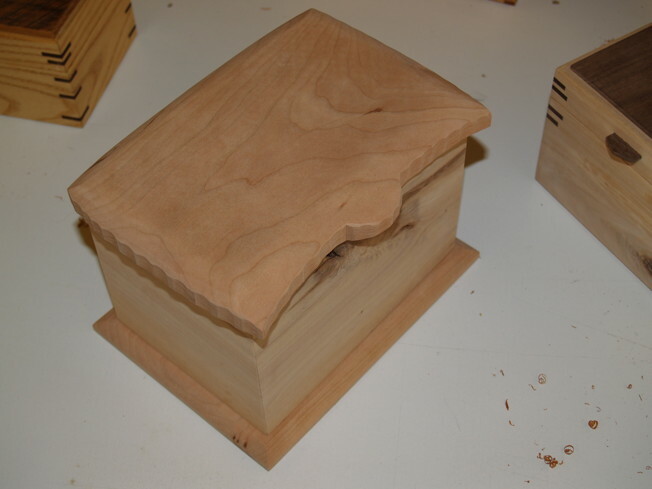 Yesterday I began making a dovetailed box from birdseye maple. My students are each on personal missions. Their boxes started out looking the same, but they have each followed tangents to my own work as they explore their own inclinations. I began making inlay yesterday as a demonstration to the class, and will finish that today. Normally my box making classes are more rushed than this, offering less time for students to explore. Here, with a relatively small number of students, I've been able to give each student the individual time they need without taking anything away from those students who are more confident to race away on their own. As part of my reading material for this trip, I brought the latest issue of Wooden Boat Magazine. I could name the issue, though that is almost irrelevant. 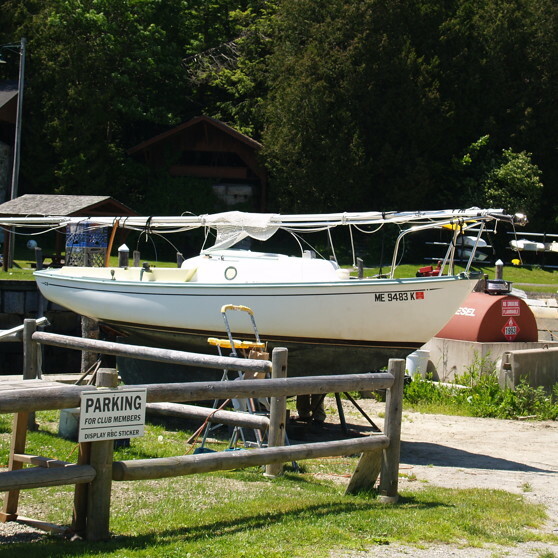 It has a boat on the front as always. Also as always, it contains the best and most direct advocacy of hands-on learning of any publication outside this blog. For instance, this issue has a supplement "Getting Started in Boats" that addresses the acquisition of tools. It also describes the journey of Chinese amateur sailors who sailed an original junk from Taiwan to San Francisco with even loftier goals in mind. Every story in Wooden Boat Magazine offers some reflection on what it means to work with one's hands, and I wish American woodworking magazines and tool manufacturers could have confidence to become so direct. Instead, all but a few seem content to lollygaggle around the issue instead of tackling education head-on as we must for the future of our children, our schools and our culture. Peter Korn, director of Center for Furniture Craftsmanship pointed out a review of Shop Class as Soulcraft in the New Yorker that takes a more critical view of the book, taking it apart in view of its weightier predecessors. My readers might enjoy that review. Fast bikes, slow food, and the workplace wars. by Kelefa Sanneh. I took a less critical approach to Crawford's book, feeling relieved to see anyone addressing the values of work in a best selling book. My own contribution to the book at the start of chapter one was for me the best part, as think I stated succinctly what it should have been all about. The reviewer was disappointed that Shopclass as Soulcraft did so little to point to any kind of solution, but that is what my books will be about. Yesterday I neglected to take photos, so for eye candy from Maine I offer a view of the new bridge along US Highway 1 passing onto Verona Island at Ft. Knox, Maine. As I drove home in driving rain on Saturday, torrents of rain were flowing down the long tubes which connect the road bed to the towers, and I wondered whether the designers knew that would happen. 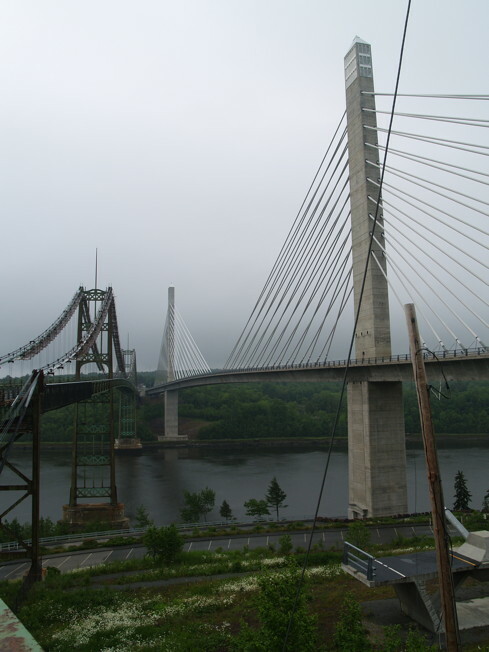 I for one hope the old bridge is kept in place. Compare and contrast this bridge with Bill's sawdust path through the woods. Today, like my students, I start school with a mission. 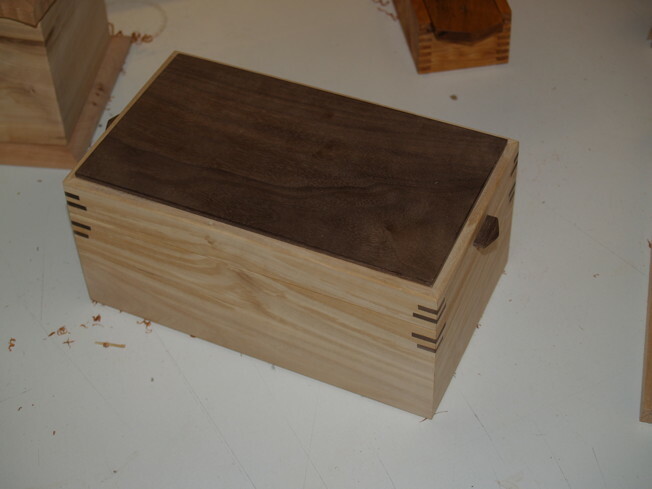 The dovetailed box knows right where I left off. 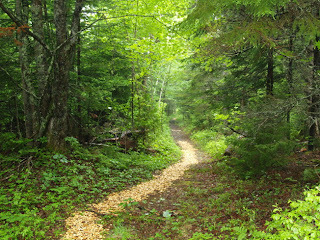 This morning I am up early as seems to be my habit in Maine. I would love to sleep late but cannot. The sun comes up very early here, and as we are pretty far north, the days are long before dark. This is the start of my second week of classes in box making and I have a long list of things to cover, demonstrations to plan. Some of my students worked through the weekend. I went to school for just a few hours yesterday and then was diverted by the offer to sail out of Rockport Harbor. That was a delightful experience, and it was fun for me to take the tiller for a time, steering the boat back to port without running into anything, and making the best use of the wind in order to do so. I'll keep on the subject of Bill Coperthwaite for another day and may come back to him later in the blog. In time, all of us will be forgotten. Those who are kept in memory will be so only for small snippets of what they've done. Einstein has been reduced to his formula, even though the whole of his work and his life were profound. Accomplishments that may have seemed so important at the time are sifted and sorted into the smallest of piles. A quote here, a notion there, but the flesh will not pass on. Perhaps a few important ideas or ideals may pass through, but as Bill suggested, there are truly no absolutely new things. And in my advocacy of hands-on learning, I am only reminding of what folks have always known. When I arrived to visit Bill, he was cooking rhubarb on his cast iron cook stove, tending to the normal concerns of everyday life. What he was doing, tending a fire to prepare food would be far more normal in every part of the world but our own. Here in 21st century USA, things are speeded up, conflated, and distorted far from what things once were for each and every common man going back to the earliest of times. And it seems that concern for that common man has been a driving force in Bill's life, caused him to teach, and to adopt a way of life through which he could demonstrate core democratic principles. As Bill showed me his democratic axe, a blade attached to common hammer, I was reminded of the man in Haiti, attempting to dig his family from the rubble of his collapsed home, who asked, "How can I do this, I don't even have a hammer?" And so tools are such an important component of democracy. Are they to be held firmly in the grip of power, controlled to the benefit of few, or widely distributed to folks in real need? I urge those who are curious about Bill to buy his book, A Hand-Made Life, as it expresses his philosophy far better than I can describe it. Pay particular attention to his democratic axe., and note that the yurt is a home all folks can afford. Without tools or the capacity to make them, and own them, man is diminished and his or her life is placed in subservience to others who could care less. Readers interested in this subject will also be interested in Ivan Illich's book, Tools for Conviviality. Bill's yurts are a 1 1/2 mile walk through the woods. An article in the New York Times, describes a new standardized test to measure "grit" or stick-to-it-a-tive-ness as a matter of character. Wouldn't you know that when faced with the irrelevance and inaccuracy of standardized testing, that a standardized test-crazed educational culture would come up with one more test to add to school systems already overburdened by irrelevance and educational contrivance? The New York Times article, What if the Secret to Success is Failure?, points out at the very least that character is as much a contributing factor in success as intelligence. 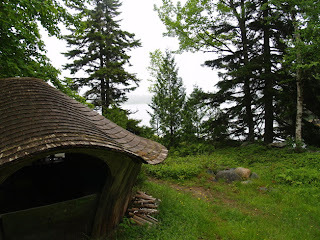 On the other hand, when it comes to the opportunity to actually observe real (and "true") grit, I drove three hours north along the coast to visit Bill Coperthwaite who at 83 lives off the grid by himself in a three story yurt of his own design and making. 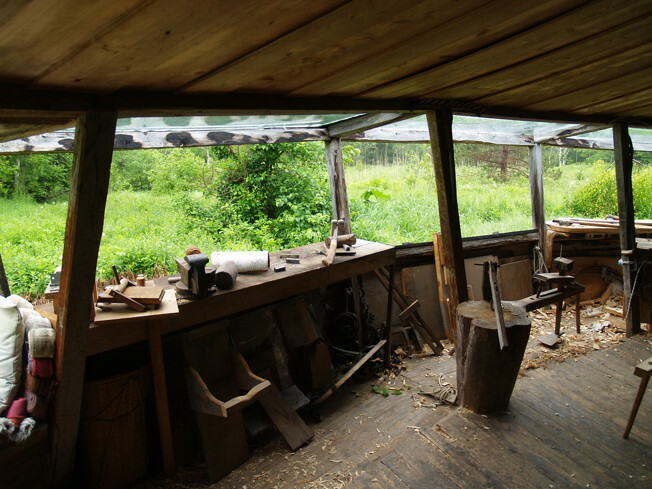 The bottom layer of Bill's yurt is his work shop where he makes tools, chairs, spoons and bowls, not to sell, but to demonstrate, satisfy his own curiosity about how they can be made and used to teach. In the 1960s, with a PhD in education from Harvard, knowing civilization was going to hell in a hand basket, and that clean energy was one of the important issues to resolve, Bill looked up and down the Maine coast for a tidal basin that could take advantage of the high tides of northern Maine to supply power. 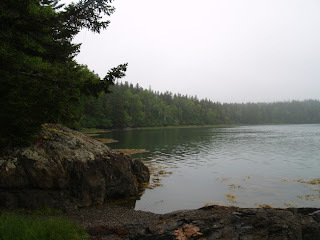 A mill pond at Machiasport captured his interest and he managed to acquire 500 acres of land, both sides of the tidal race and the right to potential use of the twice daily power of 16 ft. tides. But as Bill worked in the development of his property, he discovered even greater power that made development of the tidal pool completely unnecessary... The power of his own body. 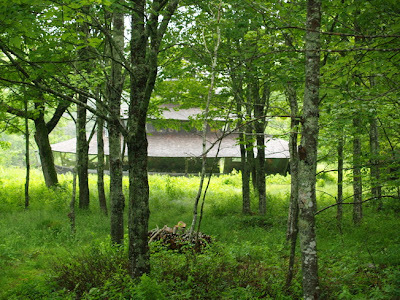 He harvested by hand the white pine that had been allowed to grow for over a generation, built more than one yurt, became an advocate for a more simple, more direct life. He travelled all over the world studying indigenous cultures and their tools and discovered something about grit. In our search for ease (even seeking an easy way to determine grit) we are too often left diminished in character and intellect as a result. I took enough photos of Bill, his tools, his tidal pool, and his yurts that I could bother you for days. I will suggest his book, A Hand-Made Life. 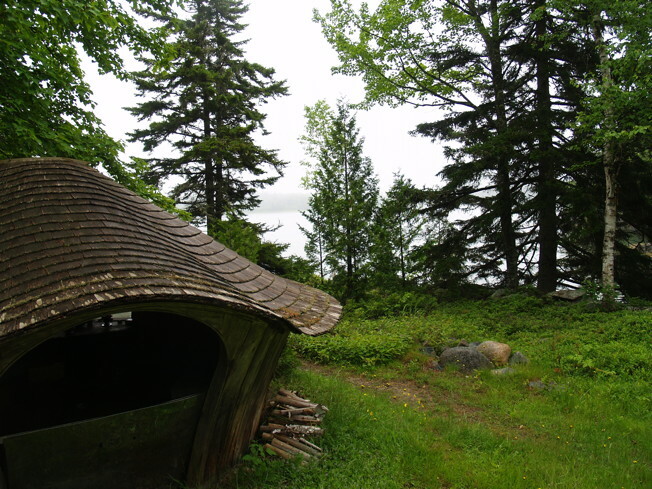 Through-out, Bill has been true to his interest in education and inside his guest yurt you can find quotations that encapsulate his philosophy of education and of life. 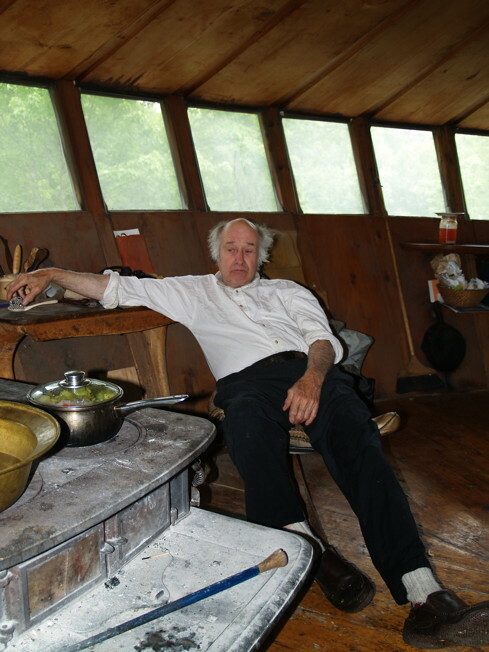 Even today at 83 he teaches workshops to students, in making tools, crafting spoons and bowls and building yurts. I want to thank Peter Follensby, who, writing in his blog had described his visit with Bill. His blog post reminded me that I could arrange to renew my friendship with Bill while I've been in Maine. He does not suffer fools gladly, and his home is a mile and a half off the closest beaten path. In any case there are some things to learn about character, and there are things children can do about the development of true grit and inner resources when they are tested in real life by the making of beautiful and useful things. David Henry Feldman in his study of gifted and talented kids had noticed some of what had also been noticed by early advocates of the manual arts. Children a have a natural inclination to distinguish themselves through displays of earned excellence. They need not be driven toward it but simply allowed and encouraged to proceed. By making our children's learning contrived, narrow and unlovely, we diminish their opportunities and our own human culture at the same time. And so as a whole culture, we wring our hands and wonder what to do to improve education. The whole matter is simple. Stop wringing our hands and put them to use doing some real stuff. Today I will be at CFC helping a few students make boxes. Today all my students and I made progress. Some are more experienced and confident than others, but the great thing about box making is that you can engage in it at any level you choose. I've been rethinking my "nimphius box," as I had to wet and iron the pieces of mahogany to get them to take an adequate bend, and it is becoming a head-scratcher. This afternoon folks came by from Thomas Lie-Nielsen Tool Works, looking for photo props to display a tiny new bronze bodied plane. 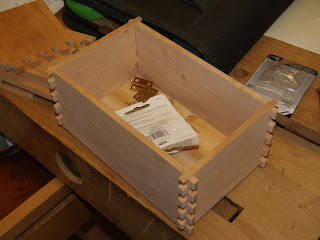 I gave the plane a test in my own hands, and they chose some of my boxes, and either I or my boxes may end up on their facebook page, along with a link to the blog. Lie-Nielsen is just down the street from CFC and I plan to visit there next week after Thomas returns from England. 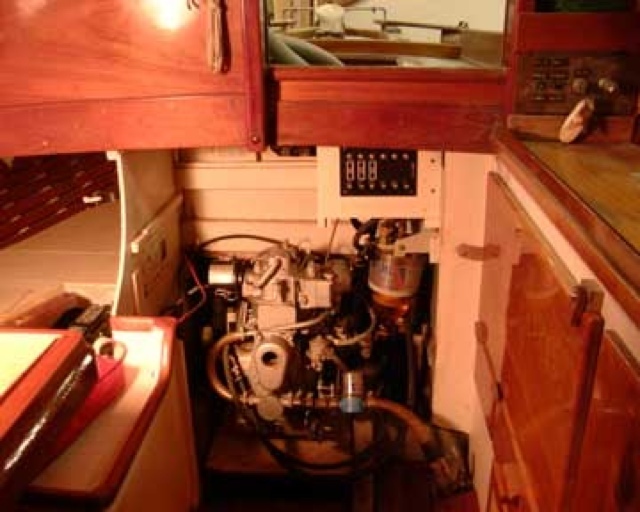 Most boat owners are familiar with half-models as crafted chunks of wood hanging on plaques on walls representing particularly successful hull designs, but forgotten by most these days is the role that half-models played in the original design of boats. Some years back I did an experiment with high school students at CSS using half-models as tools for the design of sculpture. It was too sophisticated an idea for some of my students, but nonetheless, they gave it their best shot and I tuned it into an article for Woodwork Magazine commemorating this important but nearly forgotten conceptual design tool. I am at it again, this time using a half-model in the design of a boat box, but not imposing it on the unwary except as an example. In honor of the lovely boat for sale in the neighborhood made by Ferdinand (Red) Nimphius, I am naming my half-model derived box, "Nimphius." Part of my job as teacher is to "model" investigatory behavior that draws upon the cultural world around me. As you can see in the photo above, I started by making a simple template and converting to a mahogany half-model as no other wood would adequately represent the mahogany planked Nimphius which you can see in an earlier post. 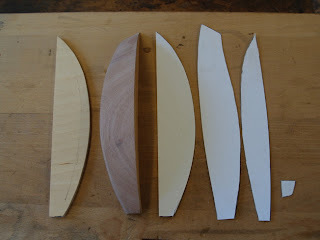 When the model was complete, I laid card stock on the curved surfaces and traced their shape. True to the use of half-models to scale up to larger sizes, I increased the size of components by 125 percent using a photo copier in the CFC office, then traced the scaled up versions of component parts on thin pieces of mahogany. This was not done by neglecting the needs of my students, who are making wonderful progress. I have been making friends at CFC, and ALL as you might already expect, understand without scratching their heads, the wisdom of their own hands. That we know the power of our hands to engage learners and yet fail to creatively engage our children's hands in the formulation of their character and intelligence is stupidity in the first degree. By allowing educators to decide that hands don't really matter, we've taken the de-facto position that children don't matter either. Those of us who know something about this have the responsibility to speak up and this same concern should apply at all levels of American education. One of the things my adult students will notice is that I'm always flipping things one way or another to create symmetry. What some may not know is that flipping left and right is a component of spatial sense, a vital ingredient for success in math that children develop by flipping matters and material objects in their own hands. I am getting ready for day four of box making at the Center for Furniture Craftsmanship. My load as a teacher is becoming lighter as I've set more things up for my students to do, and each is engaged in making a variety of box designs that meet their own interests, as to use, method and aesthetic considerations. I have a great wood shop assistant, Jonathan, who is a professional woodworker, but also kind and patient with me, and in turn with each of my students and all their needs. I hope to do some experimental work of my own while I am here and knowing that my students are monitored for their safety helps. I was also pleased to meet readers of the blog yesterday and even more on the day before. One, a 7th and 8th grade woodshop teacher from a Boston public school came up yesterday to ask about projects, and to get some inspiration for next year's classes. Like many other woodworking teachers, he had found boxes to be great and inspiring projects for both boys and girls, so he spent some time photographing boxes, sketching boxes and watching a couple demonstrations. Another blog reader is from Australia and is currently studying at the school as one of an elite group of advanced students in furniture design. It is a pleasure to connect faces with readers, and gives me both a better sense of the importance of this blog (without an inflated sense of self) and additional reason to keep at the writing of it, knowing there are real folks who understand the wisdom of their hands. I am gradually getting to know the school better and am taking advantage of occasional walk-throughs to see what other classes are up to. 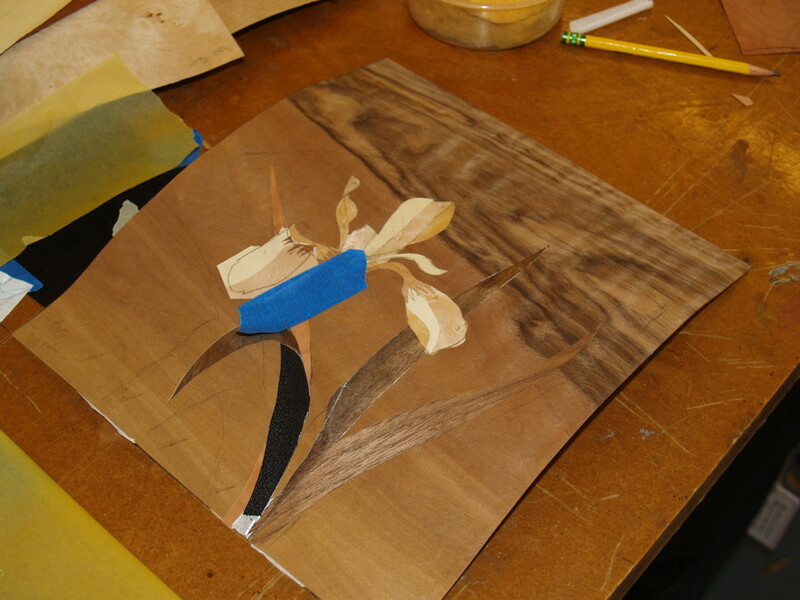 Silas Kopf is teaching marquetry, and his work is inspirational. 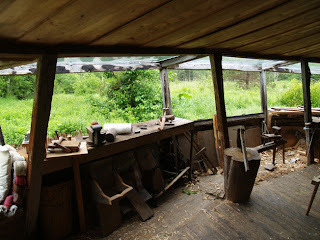 In the twelve week intensive course, students are busy cutting through and half-blind dovetails.I could spend all my time here on the blog raving like a lunatic about the wonders I see, or about the pride I see taken in work, that I'm sorry too many don't find in their lives. But I also like to stick a bit to the subject at hand. And that is to find ways to get kids working with wood. It is certainly not enough that we find pleasure in woodworking ourselves and then let our children suffer in schools where they are deprived of opportunity to express their own creative inclinations. These inclinations can be freely and safely expressed to the benefit of human culture and each child. In his address delivered to the Eastern Manual Training Association in 1904, Gustaf Larsson noted that the pronciples of Educational Sloyd were based on observation of how children actually learn. 1. The teachers must be professional teachers, and not artisans merely. 2. The teaching must be systematic, progressive, and. with exception of certain class demonstrations, as far as possible, individual. 3. Such work should be selected as will give the best physical development, through free, vigorous movements. 4. The visible or material results should in even respect represent the workers' own effort. Generally speaking, this should mean no division of labor, and practically the exclusion of machinery as a labor-saving device. 5. The exercises, which progress from the easy to the more difficult, should be applied on attractive objects, the use of which can be thoroughly appreciated by the worker. Each object should be simple, and of good form and proportion. 6. The course should include not only objects which can be made accurate by the help of testing tools, but also free-hand work which exercises the sense of form through sight and touch. 7. Special importance is attached to neatness, accuracy, and finish, to the love of good work for its own sake, and to the development of independence. It will be said that these are principles which it is safe to follow not only in Sloyd but in other branches of education, and I feel that the best manual training teachers in all countries are united in their faith in these principles, which are of a general educational character and not originated by any one man or country. They are the result of the growth and thought of many educators. Today we will continue making boxes, get even better with each, and take pleasure in all. You might note that the way Gustaf Larsson tells that children learn is no different than the way we each learn best. My adult students may watch a demonstration as a class, and then they each need just a bit of personalized attention as they do things for themselves for the first time. Then at what seems like the drop of a hat, they burst forth in the creative process. There is no greater honor than that of being a teacher and watching your students burst forth. 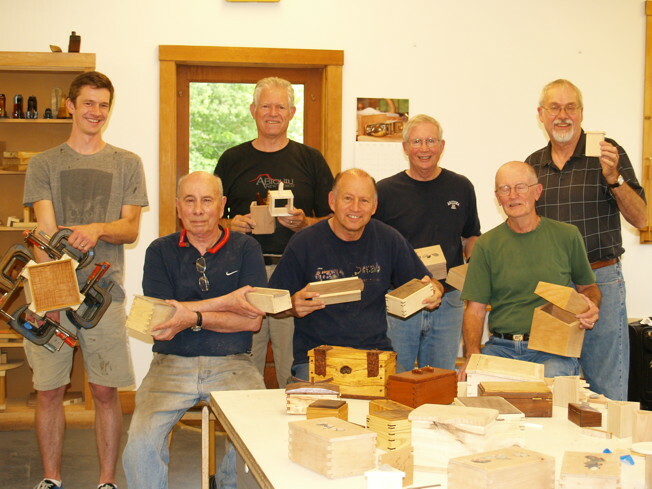 I'm getting ready for day three of box making at the Center for Furniture Craftsmanship in Maine and students already have a variety of boxes in the works. We finished the box joint workstation yesterday so students can just step up and make perfect box joints and some of them plan to make the dedicated router set-up to take with and use at home. The article about this device comes out in the next issue of American Woodworker, and the idea is that making box joints can be done accurately at the drop of a hat. 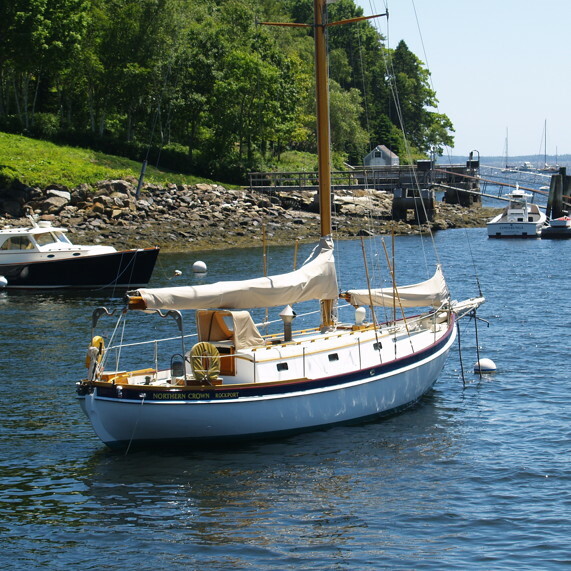 This is Maine, after all, and while here, I have no choice but to soothe my interests in wooden boats. They are one of the best repositories of hands-acquired intellect, and boatmakers understand the Wisdom of the Hands long before nary a word has ever been said. I had found a small sloop in Wooden Boat Magazine that turned out to be at a small boatyard, Malone's, right down the street from the school. 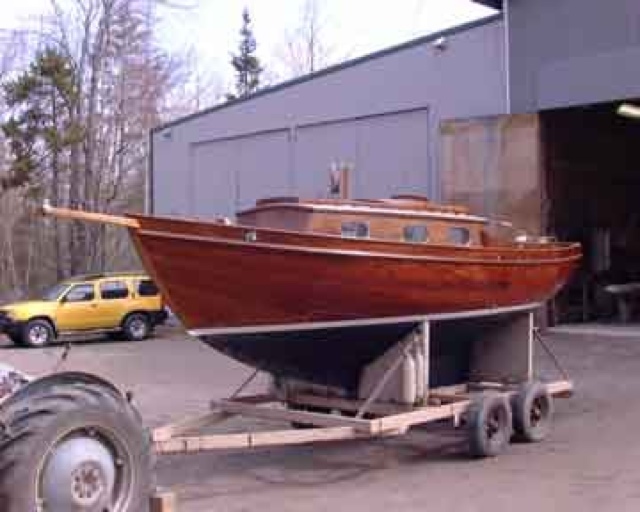 It was made by Ferdinand "Red" Nimphius in Wisconsin of all unusual places, but Nimphius had a sterling reputation as a boat maker, even by Maine standards. 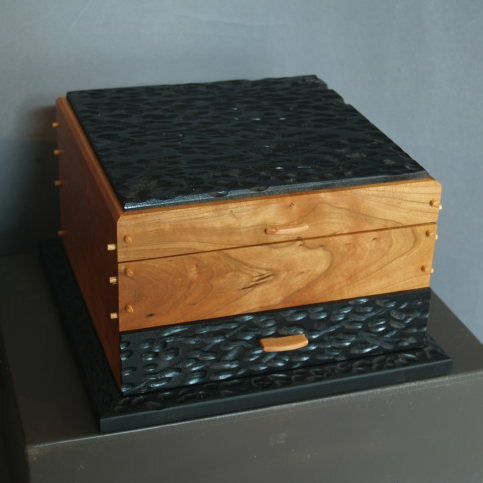 I had a great first day of box making at the Center for Furniture Craftsmanship, but forgot to take photos. Educational Sloyd had been criticized by some as being uncreative. For instance while William James spoke out clearly as an advocate, early psyhologist G. Stanley Hall was one of those critical of its method of utilizing models to encourage steady and sequential development of skill. Many observers like Hall (and some teachers) who might have missed the first principle of Educational Sloyd, that of "starting with the interests of the child might miss the point that the models were never intended as a rigid structure that might stifle individual creativity. The following is from Gustaf Larsson's address to the Eastern Manual Training Association in 1904. ...the nature of a boy's work is considered of supreme importance; a boy (or girl) must make something which he considers to be worth making and which he likes to make: in this way the stimulus of interest is secured, by which means useful but unsuspected exercises are accomplished, and the steady development of muscular as well as mental power is begun. American boys like to make many things which would not be popular in Sweden, and vice-versa. A country boy has different ideas of things from one brought up in the city. A boy who lives among the mountains will have different tastes and needs from the boy who lives by the sea shore. 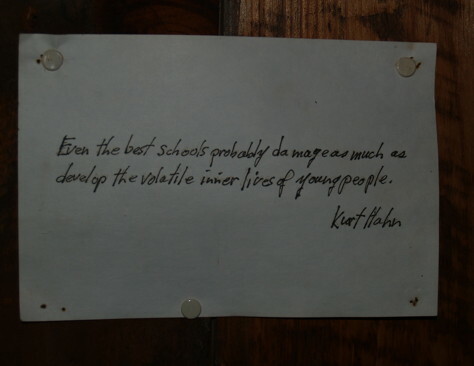 Even individuals in the same school show a wide difference of taste and power. A teacher is often confronted by a problem like this. Three boys have skill enough to make a half lap joint. One wishes to make a stand for a ring toss, another prefers a wind mill, the third, a stand for his mother s flower pot. If, in each of these three objects or models, the desired exercise is involved, the teacher is able to give the boy the exercise needed, at this stage of development, without the sacrifice of spontaneity, and this is the result of a carefully thought out and elastic course of work and is a true "adaptation" of Slovd. When we consider it important that models should be adapted to individual needs, in the same school, it is evident that different schools and different localities may call for very different models, which they should have at hand and can have, without the sacrifice of Sloyd principles. "there was a buzz in the school about the activities going on in our class. This was partially due to the fact that students were now displaying their finished works in a display case in the hall for all to see. A colleague approached me about the possibility of doing similar things with her class. She worried that she did not know much about woodworking or how to use all the different tools. I told her that it is better to have a teacher who has the desire to learn the necessary woodworking skills who will then be more sensitive to the needs of the individual students than to be an experienced tradesperson who is very proficient in the use of the tools, but for the sake of expediency, would rather do something for the student than to take the time to show them how to do it themselves. So, we worked out a project and went over all the steps and procedures. To her surprise her students loved it and she noticed that the whole atmosphere in her class changed. What was once a very difficult class, where she spent most of her energy redirecting students, now she found herself able to walk around and comment on how well each student was working. She saw her class transform from a ‘me’ centered class to a one that worked cooperatively. We have both found that there seems to be a residual positive effect from the woodworking that lingers in our classes for days. It’s like a calm, cooperative tone that envelops the class. I find that the next day the kids seem more focused even though it’s Friday. For my colleague, she finds the effect lasts into the next week since they woodwork on Fridays. She has found that some of her toughest students, the ones most resistant to completing work, now finish their work well and on time in anticipation of their woodworking period. 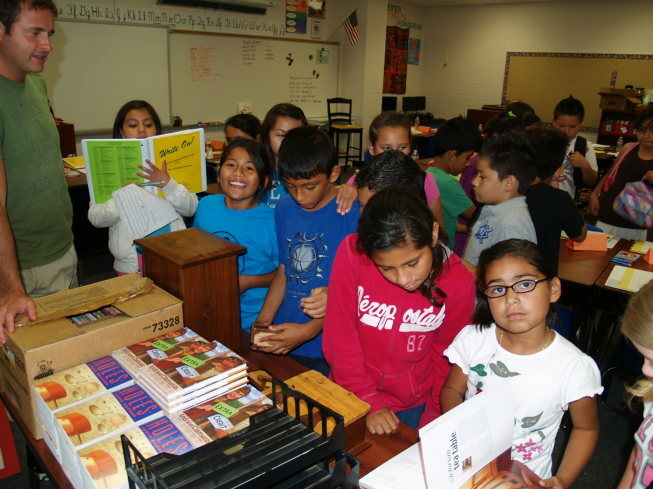 Woodworking gives them a positive experience at school that seems to transfer over to other subjects. It’s a win/win situation for everyone." As you can see, the Wisdom of the Hands model is beginning to find roots in other places. You need not be an experienced woodworker to take part. You will need to have some kind of creative passion of your own, along with an understanding that the teacher's job is not to express skill, expertise, or even knowledge, but passion for children and learning. 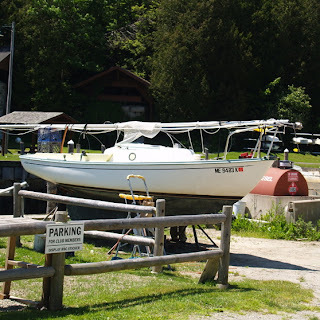 I found my way to the Rockport marina as you can see in the photos above and below. Today I arrived in Rockport, ME after a long day in the air and not much time sitting In airports. The last flight of the day was a twin engined Cessna with a wonderful view of the Maine coast. Tomorrow I hope my luggage shows up. In any case, I'll find the Center for Furniture Craftsmanship and know something about the lay of the land before classes start on Monday. I've already found the grocery store. Linley from nvashko on Vimeo This video was shared with readers at the Hands-On Learning group at Linked-in. 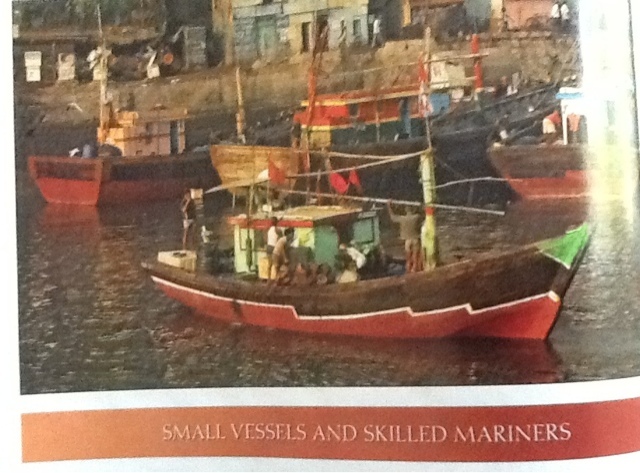 Tell me dear readers, What do you think?To compare and contrast, in this month's Wooden Boat Magazine, there is an article about the fishing fleet of Mumbai, India. These vessels are not art in the way of Bugattis. They are not made for the pleasure of a wealthy elite, but rather to provide a living and a source of protein for 12,000,0000 people. There is a saying, let me live simply that others may simply live. Long live the makers of beauty. The photo below is of the article in Woden Boat that I hope others will read and enjoy as well. I am nearly ready for my trip to teach in Maine and in Boston, and have been attending to things that need to be done here before I leave. Today I finished outfeed tables for the SawStop saws in the Clear Spring School wood shop which you can see in the photos at left and below. These are made with two layers of Baltic birch plywood to form the top and then a simple plywood construction to support it on the back. 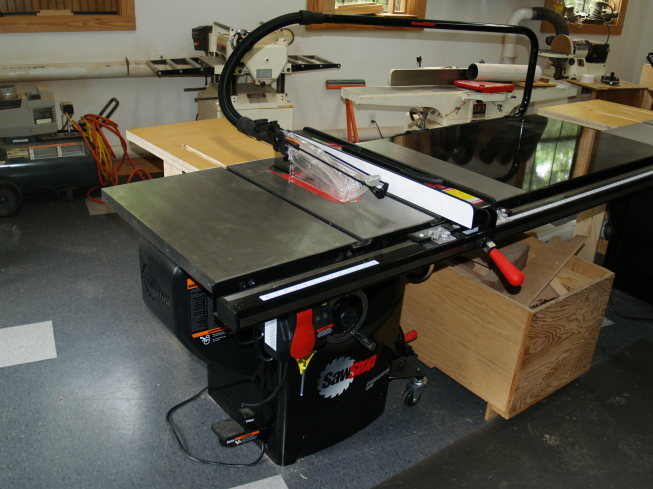 The outfeed tables are also attached to the back of the saw. Grooves routed in the tops allow for the miter gauge and sled runners to pass through. These are a simple solution that take up less space than the outfeed tables available from the manufacturer, and these allowed me to use scrap lumber and feel a bit greater satisfaction in the result. 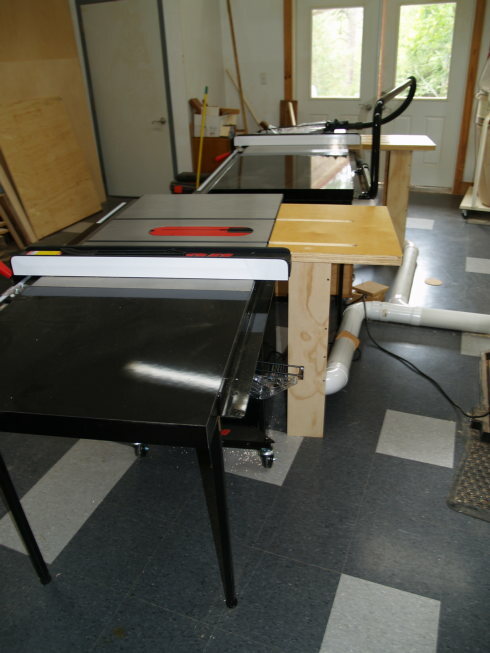 In the photos, you can also witness the school wood shop following its summer cleaning. I will be leaving for the Center for Furniture Craftsmanship in Maine in the morning. Today I worked up a sweat putting 6 in. x 6in. posts in the ground to support gates at the Clear Spring School to control traffic and abuse of the parking lot at the wood shop. Even with a back hoe to dig the holes, shoveling the gravel back is a chore on a hot day. On the other hand, it is satisfying to accomplish goals requiring some rather heavy work. Working up a sweat on a hot day actually feels great. I am also getting the CSS wood shop building ready for Steven Palmer's class in furniture making, by finishing the outfeed tables for the new SawStop saws. and preparing for my own classes at the Center for Furniture Craftsmanship June 16-27 and in Boston July 7 and 8. That means I'm loading important things in files to travel in my laptop and iPad, and also making certain all the local things that require my attention are attended to. As I mentioned before, I am always nervous leaving town for extended periods, and in the midst of it all, wonder why I've gone out on a such a limb. But each of us will in time pass away and it is best to leave knowing that we have made a meaningful mark, even if that means going out on a limb now and then. The following is from William L. Hunter's collection of 200 poems for teachers of manual and industrial arts. My blog post to the FWW website, The Boston Compromise, is live, so please read it there and comment so that the editors will know that there is indeed interest. Also readers might be interested in the effects that the decline of manual arts in schools is having on the auto industry. Aaron Robinson, columnist for Car and Driver wrote about it in the April issue, Why Train Kids to be "Grease Monkeys"? Because We Need Them. Tonight I made Paella for dinner, roughly following the recipe shown above. Paella is a traditional Spanish recipe that invites some experimentation. Mine was made with soy-based sausage instead of the meat or fish ingredients typical of paella. I am not such a great cook, but in this case seem to have outdone myself, as my wife claimed that my paella was better than when she had made it several weeks ago. In addition to substituting soy-based sausage for meat and fish, I substituted Spanish olives for peas, which would not be a typical substitution based on taste but rather on color. I am generally better with wood, but with recipes found on-line, some interest in trying new things, being able to learn from my mistakes, with practice and just a bit more white wine, I'll get better each time. Today on the radio, I was listening to Michelle Obama talk about her new book about gardening and changing the way Americans eat. There is definitely wisdom of the hands in that. There can be nothing better than to cook for oneself with ingredients one is sure of, and first lady Obama is doing a great service to our children and families by focusing her attention on how we feed ourselves and how our food can be better prepared. When it comes to food, there is nothing better than DIY. 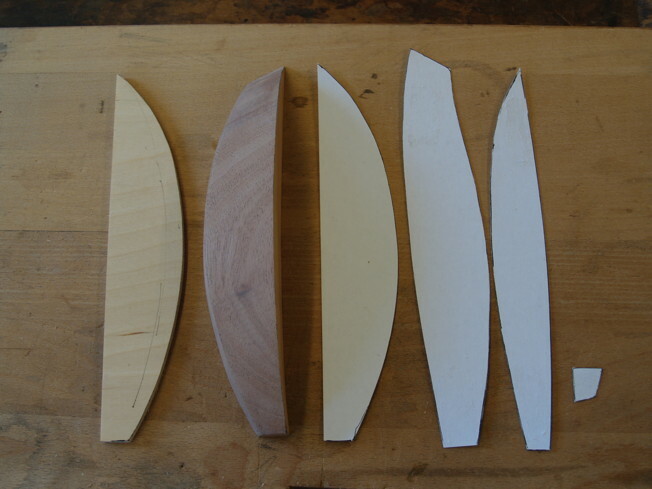 I am working on a post for the Fine Woodworking blog, which I hope will direct folks to my talk on July 6 at the Eliot School in Boston. The plan is to hold the talk at Eliot School, 24 Eliot Street, Jamaica Plain I will provide a link to the FWW blog post when it is complete. I am hoping that mention on the FWW blog will help to boost attendance. I don't mind being a flop, but if I'm going out on a limb to embarrass myself as a public speaker, at the very least I should have an audience. In the meantime, I've been making outfeed tables for the SawStop saws at school and in my own woodshop, and helping to install security cameras at school to prevent vandalism which we experienced last week.It is indeed a shame that we have created a world in which security cameras are necessary and in which children are no longer allowed to play outside without parental supervision. "had watched the (manual arts) system crumble. California school budgets were decimated by voter-approved tax changes, which hit the shop classes hard. In the mid-1990s, as teachers retired, their shops were shut down. Classroom head counts soared along with L.A.’s population, and the remaining auto shops came to be viewed as just large rooms in which to dump kids, especially those who were underperforming and needing courses they could pass easily." Now with conservative politicians caring for little but further tax cuts, we can expect even further loss of hands-on learning in schools. That means parents and grandparents will need to take matters in their own hands. This may remind some viewers of what we ought to be doing in schools. Let's plant our schools (and our children's lives) with gardens, art, music and wood shops. The hands are the garden of the mind. With our hands, and minds we have the power to bring real change. It does take more than just thinking about things alone. Children need to be equipped with tools and be offered a chance to learn how to use them. "Normal motives appeal to normal boys. The average boy wants an education; he wants to become a useful man; he wants the pleasure which comes from a sense of power to do things as men do them; he is willing to work for his power and for the skill which brings it. We do not forget the importance of learning to think, but the importance of learning to work (thoughtfully) is paramount. The joy of systematic, skillful, successful work when it is well timed is as great as the joy of play. There is an occasional boy who will not readily respond to normal motives—the lazy, spoiled boy whose ambition is measured by the selfish gratification he experiences from moment to moment in his amusements. For him we may sometimes be justified in resorting to molycoddling methods. We may allow him to "make something" which suits his fancy in the hope that he may be led to see for himself the importance of systematic work." Children are in no danger of becoming completely disconnected from their hands. The hands and brain are so hard-wired to each other, that one needs no more than a moment watching a child text-messaging a friend to know that the hands and brain comprise an integrated system of learning with potential productive capacity. The question becomes "for what?" We seem to have been raising a whole generation in desperate need of molycoddling. I am reminded of my friend Tom who grew up on a very small, very poor farm south of town. Tom recalls as a transforming moment in his life, when his mother told him (as a twelve year old) that dinner that night was to be up to him. There was little food in the house and if Tom wanted to eat, he needed to hunt. He went out with his rifle and killed and cleaned two squirrels and a rabbit and began to sense that he was to become a man. We molycoddle our children all over the place, giving them toys, amusements and distractions thinking perhaps things have changed. And yet, the inclination in the hearts (and hands) of children is to become grown men and women with real powers, real potentials, and the capacity to do manly things and accept womanly responsibilities. It is as simple as that. If we were to mollycoddle our children into wood shops where they might do real things, developing skill in the creation of beautiful and useful objects to serve family and community, our schools and our culture would benefit enormously in the process. Even though sales at last week's craft show were puny, I've been on a minor roll lately in moving small boxes through galleries and through my Etsy store. So it is a pleasure watching things go out the door, as that provides the excuse to make more. So today I have been placing new listings on my Etsy site including this cherry and carved and painted basswood jewelry box. 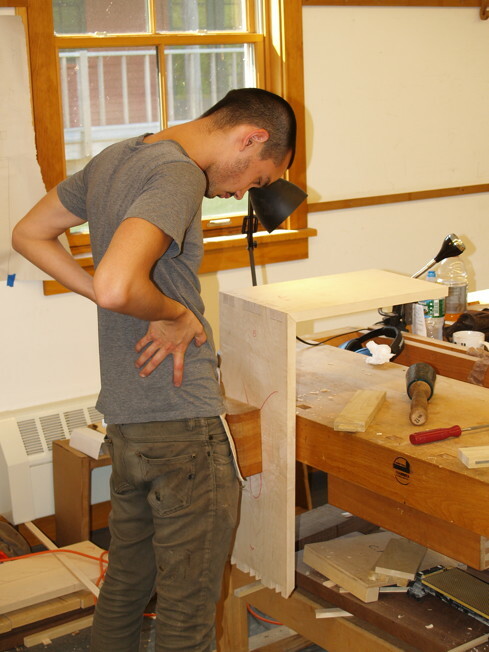 I am just one week away from leaving for my classes at the Center for Furniture Craftsmanship in Maine, the Eliot School in Boston, and my lecture/presentation with the Eliot School and North Bennet St. School. At the close of my class with the Center For Furniture Craftsmanship the school will host its annual open house, so all are invited to attend. 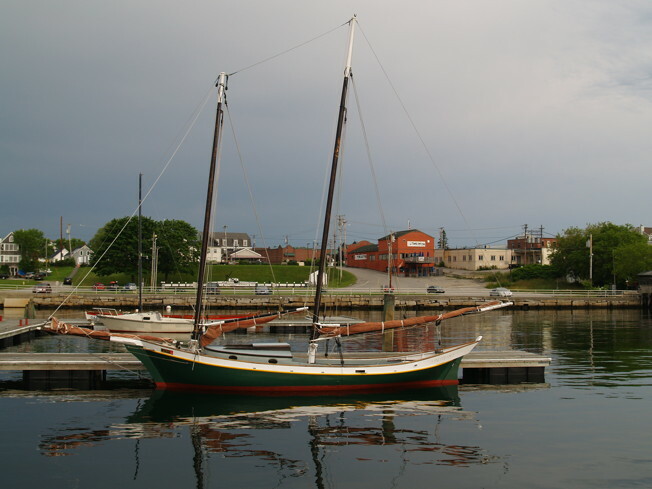 The details are as follows: 25 Mill St. Rockport, Maine, Friday, June 29, 2012 5:00 to 7:00. I will have just finished a two week class, and hopefully some of my students will be able to stay to share what they've made in class. I will also be posting photos in the WOH blog during the two week period so you can see progress. In Boston, on July 6, at 7 PM, I will make a public presentation of my Wisdom of the Hands program, Why We Still Need a Wood Shop sponsored by Eliot and North Bennet St. Schools. Eliot and North Bennet St. had been looking for ways to collaborate, and I decided to go out on a limb and propose my own presentation co-sponsored by both. The presentation is free and open to the public and this blog is one of my only ways to generate enthusiasm for it. Feel free to help me publicize this event. 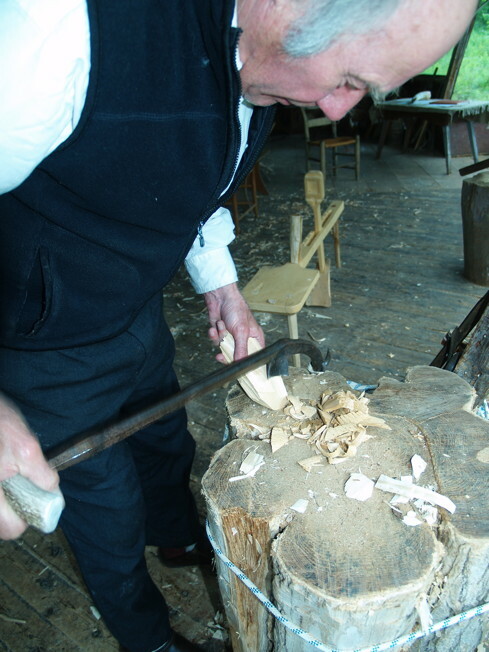 As we know, when schools began abandoning wood shops and the role of the hands in learning, educators knew very little about what they were doing. It was a misguided notion. The manual arts movement in the US was first propelled by interest in three cities, Boston (centered around MIT and North Bennet St. School), New York (Teachers College at Columbia University) and St. Louis (Washington University). It was a movement that had best be resumed. I always feel nervous when I put myself out on a limb. But as a craftsman, I've learned that I grow in skill and understanding by putting myself in precarious positions. Offering to do this presentation takes me out of my comfort zone. Yesterday, I got both new Saw Stop saws working in the Clear Spring School wood shop. They are beautifully crafted and run vibration free. Even beyond the Saw Stop technology, the rest of the saw is beautifully designed. 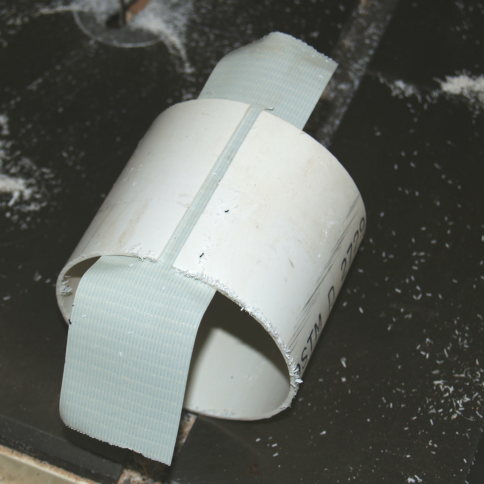 Most table saws come with a blade guard that covers the blade and prevents kickback during ripping operations. The way these things were designed in the past let you know they were a joke, and most woodworkers dispensed with them when they realized how inconvenient they were to use. In the case of SawStop, the blade guard is actually well designed, easily removed when necessary and is stored in a simple side rack when not in use. While most blade guards that have come with saws for the last 40 years have been junk and soon discarded. SawStop's is a keeper. Hooking up the dust collector provided a way to refine my technique for connecting pipes, as shown in the photo above. First take a very short section of pipe and convert it to an insert as shown in the photos above and below. Apply duct tape to the inside and then wrap tape to the outside. 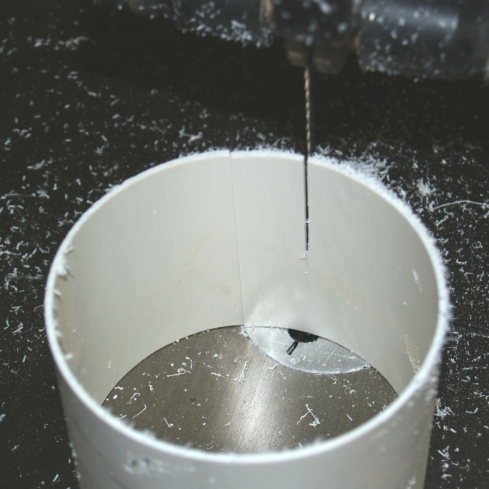 By making a cut in the side of the section of pipe, and removing a small section, the diameter can be adjusted so it will fit inside a 4 inch flexible tube, but also fit tight in a short section of conventional pipe and thence in a conventional 4 in. joint. Finish the connector by using tape. 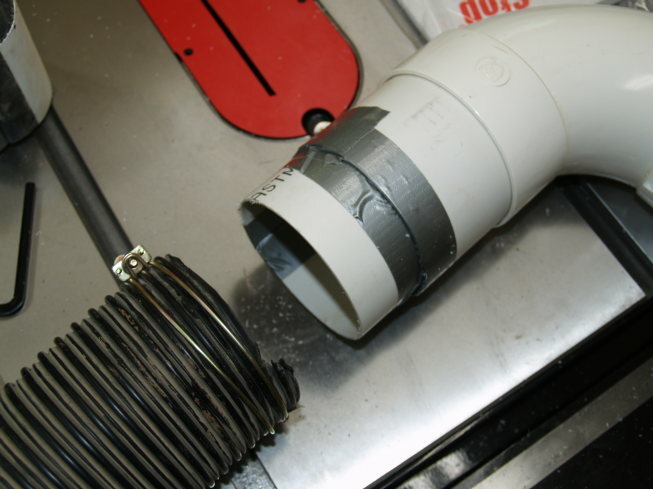 The use of these shop made connectors provides a leak free dust collection system. Today Click and Clack (Tom and Ray Magliozzi) announced their retirement from Car Talk. The whole of the hands-on DIY world will miss their charming, entertaining and informative program Saturday mornings on NPR. I have been reading Howard Risatti's A Theory of Craft, a book given to me, or loaned (I don't know which) by Ken Trapp, former curator of the Renwick Craft Collection of the Smithsonian, who had also written the preface to Risatti's excellent book. You can simply open a chapter and find great reflection on the role of crafts in modern life. The following is from his chapter on the "Thingness of the Thing." "...the identity of craft objects is inherent in their ability to function and their ability to function is inherent in their "thingness" as things, as physical objects. This is not true of works of fine art; their ability to function, to "communicate" is not directly dependent on their thingness as things... they are re-presentations of the world and whether real or imaginary, re-presentations are always signs for or of something they are not. But craft objects qua objects are not signs but objects that function, and objects that function are first understood by and through function." Ken had warmed me that I would have to wade deep to land trout. As a maker of things that are easily recognized for their function, but also serve cultural or even spiritual functions, without Dr. Risatti's discussion, there are already things known to me, and that would be quite obvious to most of my readers without going so deep. There are no clear lines between art and craft. There are lines within people's perceptions, within people's judgements, within the foolishness of human culture, that keep us from seeing, keep us from engaging, keep us from looking closely and keep us from touching to perceive a world that can be as beautiful to the touch as it might be to the eye. As the graphic arts prove over and over again, you can easily fool the eye. The graphic arts are all about illusion. But to fool the hand is a far greater challenge. In fact, while the purpose of graphic arts is directly to deceive and thus perhaps illuminate, the purpose of crafts, while they too may offer deception, is bound to honesty and truth by the functions they serve. Ken had said that the Japanese have all kinds of words to express the simple notion "beauty". A part of beauty is certainly in the eye of the beholder. A part most often overlooked is in the integrity of the maker of it. The arts have sadly become an area for the discussion of BS, rather than of discovery and illumination. Language has a way of pushing us to that point. Today I want to offer my congratulations to a good friend, Zeek Taylor, who was just awarded a life-time achievement award in the arts, by Arkansas Governor Mike Beebe. The honor is very much deserved. In my wood shop, I am cleaning, having already shipped boxes and delivered work to be sold in a local gallery. My apology to Dr. Risatti, for the title of this post. The title of his chapter reminded me of Dr. Seuss, and I couldn't help myself. "It is clear that fine art, as exemplified by painting and sculpture, has an advantage over craft in that it is automatically assumed to be art. This assumption became part of the intellectual discourse of fine art with the development of aesthetic theory as a special branch of philosophy concerned with the beautiful. The result is a predisposition to regard paintings and sculpture as aesthetic objects, as works of art, so that they are approached in a frame of mind that not only allows but encourages the aesthetic to come forth. The opposite is true of craft. There is a tendency to approach craft in a frame of mind that, if not completely indifferent to its aesthetic possibilities, sees these possibilities as extremely limited. In part this is because, as I hope I have shown, fine art aesthetic theory dismissed the functional from the possibility of being art. In many ways this dismissal now forms the core of the tradition of "fore-understanding" that viewers bring to the craft object. "With the onset of commercial production during the early decades of the Industrial Revolution, this dismissal became more pronounced... it has essentially remained in place so that craft objects are seldom thought capable of opening to the beholder a realm of serious contemplation as works of fine are are presumed to do." I don't think philosophy alone can explain the elevation of painting and sculpture over crafts. Painting, sculpture and architecture, the "fine arts" can be visually perceived. Crafts often cannot be understood without some form of tactile engagement. I think you can perhaps see in yourself as you stand before a painting in a museum, that there is an appropriate distance from work that must be maintained and within that distance is a demonstration of shared reverence. The hands must be held in such a way that you are not inclined to touch. There is a posture of reverence and deference that must be exhibited to avoid reprimand. And so craft objects that are of a more personal nature, that must be explored by hand to perceive their tactile as well as visual qualities are granted lower status. The intelligence invested in their making is not observable from a safe distance, and is thus often ignored. The other day, when I was delivering work to the Crystal Bridges Museum Store, I walked over to where my work was displayed and observed a man examining one of my small boxes. He was holding it in his hands and exploring its qualities. (perhaps also looking for its price.) You cannot engage hand-work fully without the capacity to touch, and I suspect museum stores are so popular because all that pent up inclination to touch must find release through some opportunity to engage the hands as well as the eyes in what they are by powerful inclination destined to do. If you see something you like, the next inclination is to touch. There are reasons that Educational Sloyd proposed the making of useful and beautiful objects. There is an egolessness rather than a pretentiousness inherent in objects intended for handling and actual use. There is a sense of provenance and permission as they pass from hand to hand. And rather than creating the distance of reverence, hand crafted objects suggest union and wholeness. On my desk I have a small red-painted Dalarna horse from Mora, Sweden. It is a typical Swedish souvenir, but rather than buying mine when I was in Mora, I found it in a Clear Spring School rummage sale for $1.00. Under the layer of red paint, a pattern of knife strokes can be seen that describe the presence of hand. Most tourists would see only the paint and miss what lies underneath. Today I am finishing small useful objects to be shipped on Friday. Routing, sanding and the first coat of Danish oil. I also went to Bayyari Elementary School in Springdale, Arkansas to talk about being a how-to writer. The children were wonderfully behaved and respectful. They asked great questions. A photo of excited young writers after they'd been invited to come up and check out my work is shown above. I attempted to explain that there is a difference between how-to writers and normal writers of poetry, fiction and non-fiction. How-to writers provide pathways to actually change people's lives, enabling and encouraging them to make things of useful beauty. In the meantime, it seems writing is a thing no longer encouraged at the same level in schools. It is too hard to test for. The following is from Mom's Homeroom. "Of course, not every school allows its teachers to skip what their students won't be tested on, but writing occupies a particularly precarious place in curriculum battles. No one would dispute that it's part of the core curriculum, but it's both time-consuming to teach and expensive to assess since you can't test it through computer-corrected, multiple-choice questions." Bayyari Elementary School at least offers a summer writer's workshop to get students interested. I found the students to be excited about writing. I had also visited the school in May, 2011. 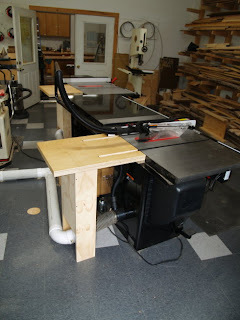 Today I will be working in my own wood shop on products to be shipped on Friday, and will spend some time getting the Clear Spring School wood shop ready for an upcoming ESSA class. I also have my two week long class coming up at the Center for Furniture Craftsmanship followed by a lecture in Boston and a two day class at the Elliot School in association with North Bennet St. School. The amount of preparation for those things and for being away 3 weeks makes me a bit dizzy. I realize that for some, the "wisdom" of the hands may seem egotistical, and may require explanation. First, the idea is truly not my own alone. Anaxagoras had said that man is the wisest of all animals because he has hands. And so in writing this blog, I am not trying to put forth my own wisdom or intelligence as being superior to others, but to illustrate the sustaining relationship between hand and mind and its role in the creation of wisdom, which is a thing greater than intelligence alone and particularly greater than mind alone. In essence, wisdom consists of something more than mere intellect. It sometimes comes with age, but not always. You can be as old as all get out and still dumb as a post. Wisdom is tempered by experience, and is thus a matter of character as well as intelligence and learning. It requires kenntnis as well as wissenschaft. You don't get it by reading books or by taking classes unless those books and classes require that you take matters into your own hands to test what you have learned. And if schools were as much involved in the cultivation of wisdom as of intellect, they would not be the failure for some students they are today. 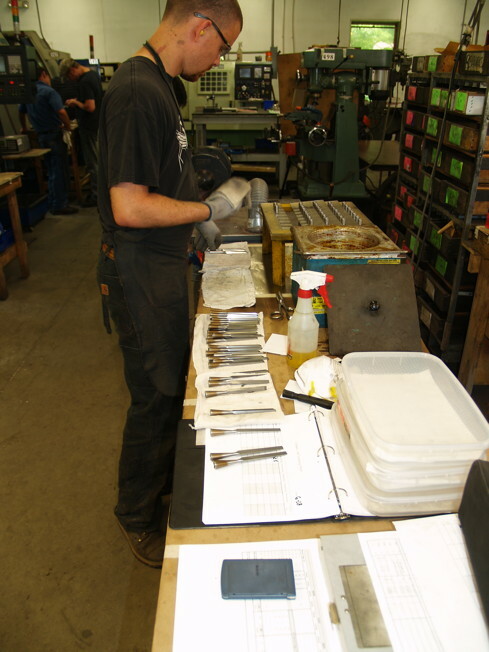 "Nothing stimulates and quickens the intellect more than the use of mechanical tools. The boy who begins to construct things is compelled at once to begin to think, deliberate, reason, and conclude. As he proceeds he is brought in contact with powerful natural forces. If he would control, direct, and apply these forces he must first master the laws by which they are governed; he must investigate the causes of the phenomena of matter, and it will be strange if from this he is not also led to a study of the phenomena of mind. At the very threshold of practical mechanics a thirst for wisdom is engendered, and the student is irresistibly impelled to investigate the mysteries of philosophy. Thus the training of the eye and hand reacts upon the brain, stimulating it to excursions into the realm of scientific discovery in search of facts to be applied in practical forms at the bench and the anvil." And so, you will find that it is not enough to read here. The idea of wisdom may seem pretentious, unless you, too, are inspired to explore the wisdom of your own hands. Plant a garden, play instrumental music, make something of useful beauty. What is perfectly obvious to some may not be to others. For example, when Ken Trapp was curator of crafts at the Renwick, he had curated an exhibit of works collected by the American Association of Woodturners and the Turning Center in Philadelphia. As he was passing through the exhibit a museum guard asked him, "Does the making of these things require thought?" For some reason the guard guessed that these objects were made in some mindless fashion, perhaps by machine. Ken, somewhat astounded at the question led the guard to a few examples by some of the great American woodturners, and discussed the intellectual content of each piece, pointing out how each required thought and exquisite understanding of the tools, material and form and even if all were done automatically by machine, a huge amount of intelligence was invested in each piece. Most folks who spend time working consciously with their hands know from personal experience the connection between hand and mind, and those who have been left untrained of hand, may not grasp the connection. Those of us who do work with our hands are often surprised (as was Ken Trapp) that some are oblivious to what is clearly obvious to us. To that I can add that those left untrained of hand and mind are intellectually and culturally impaired as well, "fixed and stubborn" in their thoughts. Just as Ken took the museum guard more deeply into the intellectual content of each piece, we share the same responsibility when faced with ignorance and judgement about hand work and hand skills. An understanding of the value of connecting intelligently with physical reality through the development of skilled hands is essential to the future of humanity. Today I am working on pencil cups and business card holders to fill an order that must go out Friday. I spent two days at the Bentonville ArtFest which was held in association with the monthly "First Friday" event on the Bentonville Square. One lesson I had learned early in my arts and crafts career, but had forgotten was that festival atmospheres are not the best places for selling crafts. Attempting to sell crafts in flea markets, farmers markets, and festivals where folks are primarily drawn by music or cheap stuff is a surefire way to fail and is often demeaning to the maker. And so chastened by my experience, I am glad to be home. And flaming hula hoops? It's true. There was a large woman in a skimpy red leotard demonstrating her expertise to the pleasure of the crowd, though what that had to do with ArtFest, I've yet to comprehend. Human beings are driven at least in part by the need for attention, and it may be a bit easier to get it with a flaming hula hoop than with actual craftsmanship. They also had a miniature bungie ride for kids, who seemed rather quiet in comparison to adults falling to what must feel like certain death. That reminded me of the last time I was set up in close proximity to a bungie ride where I had a more rewarding experience. The amazing thing is that so few folks these days have much of an idea of how things are made or why anyone might be interested in making things themselves, and other artists have noticed. As we all seemed to suffer from poor sales, the lack of patrons became a topic for conversation. No art in schools, no art or craft buyers when those students become adults. This year's ArtFest, artists were excited that there would be so many shareholders in attendance following the Walmart Shareholder meeting held in Fayetteville this week. But big buzz and large numbers of folks seldom pays off in the sale of finer work. I was in my booth when the juror came by, and she was obviously trying to do a good job. She asked questions. She wanted to know if the fine lines of spalting on the lids of some of my boxes were "drawn" by hand. She seemed disappointed to learn that what she was seeing was the work of nature rather than of a sketch artist. Sometimes those engaged in graphic arts have difficulty comprehending things done in real materials. Painters these days sell both original work and Giclée which is French word for a fancy form of inkjet print. It seems that authenticity in this day and age is of diminishing importance. Whenever I am set up to sell my work, I am relieved to find woodworkers who share my love of making things from wood, and that helps to pass the time. In any case, I've learned that my efforts are better spent teaching and writing, and I need to find an easier way to sell my work. If you'd like a piece, I am easy to find via email, and I have a few pieces in my Etsy shop. Selling work is the major challenge for most makers. I met with a friend the past couple days, Ken Trapp, who had been the craft curator at the Renwick in Washington, DC. It is fun to spend time with someone who has a well researched sensitivity to the role of crafts in human culture. I am currently reading a book for which Ken wrote the preface. A theory of Craft, written by Howard Risatti makes the point that crafts should be on equal footing with the fine arts. Risatti's is a scholarly treatise, attempting to put crafts into an intellectual framework similar to that which has been enjoyed by painting, sculpture and architecture... The line between art and craft has become so blurred that some would argue that there should be no line, or that when craft objects are severed from their own traditional connection with practicality and functionality, they become art. In the meantime, one might look at the traditional places within human culture for art and craft to find reason for the elevation of one and the disparagement of the other. In the making of churches, art in the forms of painting, sculpture and architecture were used to create a sense of obedient reverence and were therefor assigned greater value. This is not to say that other forms of traditional crafts were not used as well for ecclesiastic purposes. But common crafts, were traditionally the work of the common folk, even when uncommon, that served in their daily lives. Which is actually the higher form depends on how you feel about humanity and the aspirations of common folk. The debasing illusion that man works, produces, creates only in order to preserve his body in order to secure food, clothing, and shelter, may have to be endured, but should not be diffused and propagated. Primarily and in truth, man works only that his spiritual, divine essence may assume outward form, and that thus he may be enabled to recognize his own spiritual, divine nature and the innermost being of God. The young, growing human being should, therefore, be trained early for outer work, for creative and productive activity. For this there exists a double reason, an inner and an outer requirement; an the former, in as much as it includes the latter, is of the greatest importance and eternal. The requirement is supported, too, but the nature of man as such. The activity of the senses and limbs of the infant is the first germ, the first bodily activity, the bud, the first formative impulse; play, building, modeling are the first tender blossoms of youth; and this is the period when man is to be prepared for future industry, diligence, and productive activity. Every child, boy and youth, whatever his condition or position in life should devote daily at least one or two hours to some serious activity in the production of some definite external piece of work. Lessons through and by work, through and from life, are by far the most impressive and intelligible, and most continuously and intensely progressive both in themselves and in their effect on the learner. Notwithstanding this, children——mankind, indeed——are at present too much and too variously concerned with aimless and purposeless pursuits, and with too little work. Children and parents consider the activity of actual work so much to their disadvantage, and so unimportant for their future conditions in life, that educational institutions should make it one of their most constant endeavors to dispel this delusion. the domestic and scholastic education of our time leads children to indolence and laziness; a vast amount of human power thereby remains undeveloped and is lost. It would be a most wholesome arrangement in schools to establish actual working hours similar to the existing study hours; and it will surely come to this. I think you can see from this that somewhere in the last century and more than a half since that was written, education left its true and proper path... that of engaging children to learn by doing. Put wood shop back in schools as we have done at Clear Spring School and you will see vast improvement in student interest. This year the timing of the Bentonville ArtWalk falls in line with the annual Walmart shareholder's meeting. It will be a busy time in the neighborhood since Bentonville is also the home of Walmart. Join us in supporting art.